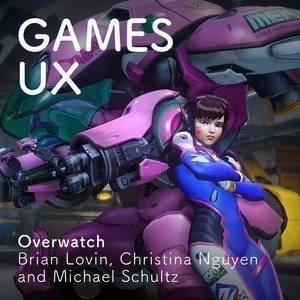 In this episode, a fantastic panel of designers talk about the class-based multiplayer online action shooter named Overwatch. From the game's character balance to the annoyance of being kicked from your loot boxes waiting for a match, we discuss the ins-and-outs of Blizzard's FPS masterwork. Brian Lovin @brian_lovin brianlovin.com Battle.net: Zentis#1125 Brian is working on a new social platform called Spectrum, co-hosts Design Details, and co-runs spec.fm. He previously worked at Buffer and Facebook. Christina Nguyen @stfu__christina christinanguyen.net Battle.net: christina#1297 Christina works at Twitch as a Product Designer and previously Blizzard as a Web Designer. She is also the best Overwatch player I've ever played with (we're talking Diamond-status here). Michael Schultz @michaelschultz michaelschultz.com Battle.net: iDigg#1871 Michael has been working at Sidewire as a Product Designer, has a podcast on Bumpers.fm, and can sing much higher than I initially expected.